Mountune have released a sequential gearbox for the Mk2 Ford Focus RS – and now the Mk3 Focus RS, too. Although the older Mk2 Focus RS is still highly desirable, Mountune is also giving Mk3 Focus RS owners the ability to shift quicker with a Quaife sequential gearbox kit. Mountune promises lightning-fast shifts from their new Quaife QBE46Z transmission which can be fitted to Mk3 Ford Focus RS, and Focus ST models, too. We suspect that most buyers will be RS owners, but Mountune doesn’t discriminate. The sequential gearbox is a high performance motorsport grad 5-speed sequential gearbox built to handle high horsepower, torque, and of course, track day use. This new sequential gearbox has been tested and validated to tolerate over 550 horsepower and is the perfect foundation to make your RS or ST even quicker. The gearbox utilizes an original Ford bell housing which ensures compatibility between models and easy installation. 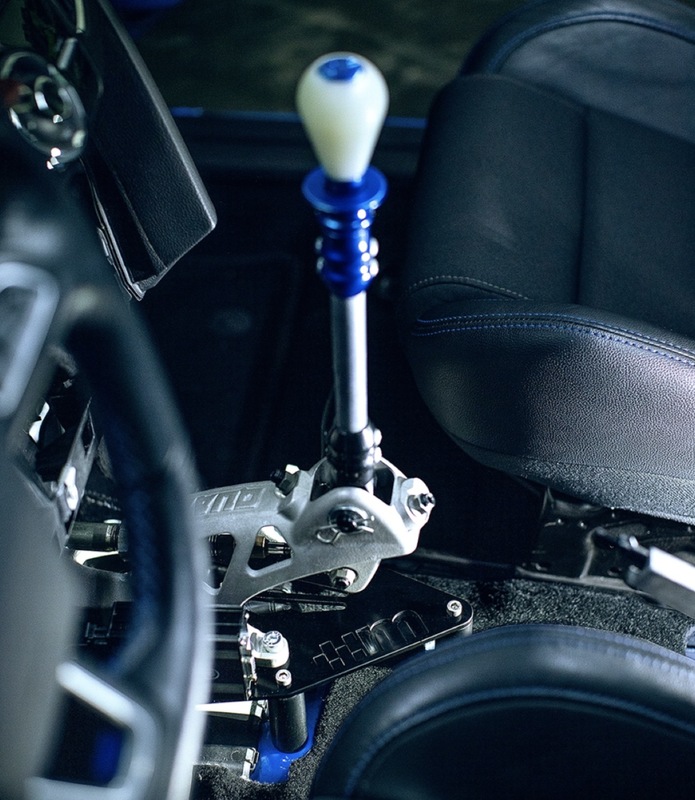 The sequential box includes a Quaife sequential shift lever and a unique Mountune mounting base. Seen in the above photo, the kit looks super cool – something you might otherwise see in a purpose-built rally car. Although you lose a gear with this upgraded box, Mountune offers a choice of straight cut or helical gear ratios, and multiple final drive options. What’s super fun is that this gearbox can be tuned to allow for flat-foot shifts, which will shed even more off of your lap time. The kit includes an oil temperature sensor, and can be optioned with either a manual lever and cable (see above) or air actuator for paddle shifters.